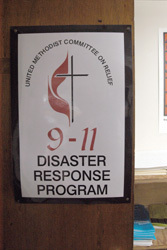 Some 26,000 people have received assistance through the UMCOR New York 9/11 Program. Assistance for people suffering the long-term effects of the Sept. 11, 2001, terrorist attacks has come through United Methodist Committee on Relief's New York 9/11 Program. Church members generously donated more than $20 million in the aftermath of the tragedy to finance these ministries. A UMNS photo by John C. Goodwin. NEW YORK (UMNS) — Some victims of the Sept. 11 terrorist attacks in New York never made the news. They were the people who worked at small businesses near the World Trade Center or were hired to help with the cleanup downtown. Some were left unemployed when factories in Chinatown closed in the aftermath or were simply unable to find a job after the economic downturn. A number were undocumented immigrants who were ineligible for government assistance. Using donations from church members, the United Methodist Committee on Relief was able to assist these secondary victims as well as some of those directly affected by the 2001 attacks. From May 7, 2002, through April 29, 2005, UMCOR estimated that 5,346 individuals and their families, or a total of some 26,000 people, received direct assistance through the UMCOR New York 9/11 Program. Indirect services, such as referrals to food pantries, legal assistance and medical and mental health care, were provided to another 2,000 people. Additional assistance to New Yorkers and local church members also came from the disaster response program of the denomination’s New York Annual (regional) Conference. The Rev. 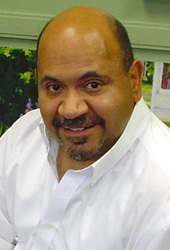 Ramon Nieves, a United Methodist from Illinois with social service experience, was hired to run the UMCOR program. “When I got to New York, my task was to move quickly,” he recalled. The Rev. Paul Dirdak, UMCOR’s chief executive, acknowledged that the program “was an innovation and we had to see whether it would work.” He was pleased with the end result. With assistance from other faith groups, he set up 10 satellite offices around New York. The idea was to go where the needs were and to be “as compassionate as possible and as sensitive as possible,” he said. Jenny Crystal Ip (right), a caseworker for the UMCOR New York 9/11 Program, assists Yuk Fan Chan. An estimated $2 million of the UMCOR 9/11 program’s $5 million budget went to rental assistance, he added. At least 60 percent of the clients were undocumented and had no health insurance or benefits. Near the end of the program, new clients came in who were suffering from health problems after being hired for the cleanup process downtown. Others who lived in lower Manhattan also developed health problems that were thought to be related to the thick smoke and scattered debris that spread after the collapse of the World Trade Center. He estimated that 80 percent of the clients suffered some type of post-traumatic stress to the point where some would not come to the program’s main offices at 475 Riverside Drive, where UMCOR is based, because the offices are in a 19-story building. He also was struck by the high burnout rate among case managers at other agencies. “You’d go home and you’d have all these stories (about the attacks) on your mind,” he said. On a personal level, “I don’t think I’ve ever worked so hard in my life,” added Nieves, who now is executive director of Tuesday’s Child, a social service organization in Chicago. Counseling for stress was an issue for the New York Annual Conference, which used a grant from UMCOR to fund a partnership with Blanton Peale Institute. That arrangement allowed any clergy member to refer people with trauma-related distress to professional pastoral counselors and psychotherapists. About 1,000 individuals were assisted, according to the Rev. 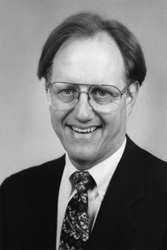 Charles “Chick” Straut, program administrator for the conference’s disaster response task force, which became known as DART. Jenny Crystal Ip (right), gets a hug from Siying Shea. DART provided some initial case management until the UMCOR program was up and running. The task force did advocacy work among the working-class poor, immigrants and undocumented workers; dispersed 87 grants to local congregations for 9/11 recovery projects and cooperated with partners throughout the city.